Voice of the Storm: I want to hear from you! On behalf of the club I wanted to say a big THANK YOU to all of you for the support I, the behind the scenes team and the guys on the ice receive every week. We’ve had a few ‘bumps’ in the road (injuries on the ice, PA issues and broken screens off it) but we really do appreciate your patience in sticking with us. While the club is doing just fine and our attendances figures are still rising year on year, we don’t want to rest on our laurels and want to continue to grow and make our club sustainable for many years to come. 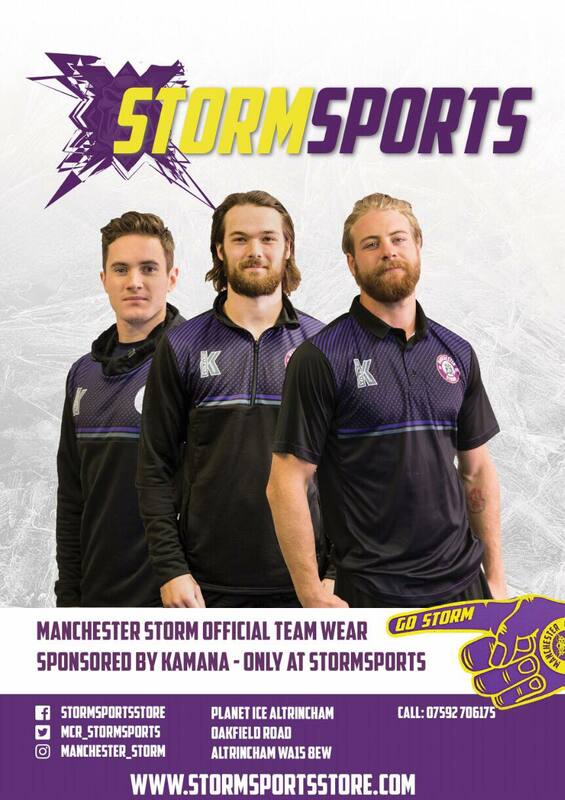 We want to know, what do YOU come to a Manchester Storm game for? Is it to watch a team be successful on the ice? Or do you just enjoy watching close, competitive, high quality hockey? Do you connect more with the Storm because you’re much closer to the action and by extension the team themselves? Is it all the better that you can watch your hero score a winning goal and get a selfie with them afterwards? Is it a great social occasion? Or something special with a partner, friend or family? What made you come in the first place? Did you see an advert on social media? Or were you introduced by someone else? Where do you travel from? Do you drive or use public transport? The more we get to know our fans, the more we can do to improve things for you. Obviously we can’t solve everything. Ticket prices are set by the needs of the business, we do our best with Planet Ice regarding the facilities and as much as we’d love to, we can’t sign Sidney Crosby. But if enough people point to issues that are in our power to resolve, then we’ll endeavour to do so. Anti-Bullying Week: Special Offer to Schools and Community Groups for this Friday’s Game!